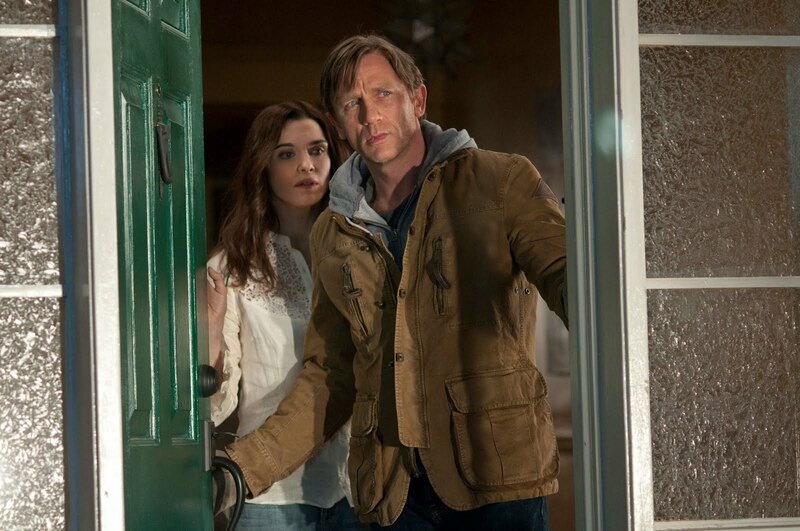 A case of too much plot almost causes Dream House to fold in on itself, but it is held together by strong performances from Daniel Craig and Rachel Weisz. The psychological thriller packs a punch, although some of the later swings are wild. Will Atenton (Craig), his wife Libby (Weisz) and their two young daughters have recently moved to a large house in a quiet residential suburban neighbourhood. Soon they start to spot a stranger repeatedly looking in on them through the windows, and Will discovers a group of goth teenagers partying in the basement. Ann Patterson (Naomi Watts), the neighbour across the street, and her husband shoot nervous and suspicious looks at Will. Finally, he learns the truth: the house was previously occupied by Peter Ward and his family, before Peter's wife Elizabeth and two daughters were brutally murdered inside the house. Peter was accused of the murder but acquitted due to a lack of evidence. After spending time in a mental institution, Peter has been recently released. Will is now convinced that Peter is the man appearing outside the windows to torment and possibly murder the family occupying his former house. 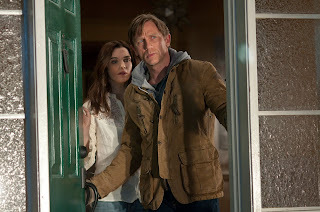 Dream House was a troubled production, with studio interference and creative differences causing director Jim Sheridan to almost abandon the project, and stars Craig and Weisz refusing to help publicize the film. A botched studio-created marketing campaign made matters worse by revealing one of the main twists. Nevertheless, Dream House delivers some excellent moments. The house that witnessed a mass murder turns into a much more dangerous place for Will Atenton than he initially imagined, and once the central premise of the movie is established, it sets in motion a journey of personal anguish and healing that Daniel Craig excels at. Will is a man fighting forces more dominating than he anticipated, and the need to rescue himself and his family is a challenge that Craig accepts with dogged determination, expressing first resiliency and then a resignation to make the best out of an almost impossible situation. Rachel Weisz has a natural chemistry with Craig that resulted in a real-life marriage, and on-screen they convincingly click as a couple brought closer together by their children and willing to take on the unexpected challenge of a house with an unwanted history. Once Will realizes just how much danger Libby is in, the real risk that he may lose her adds a sharp poignancy to Dream House. Unfortunately, Dream House is also saddled with a significant load of awkwardness. Most of the important parts of Naomi Watts' character Ann Patterson seem to have been lost either on the margins of the script or in a botched editing job. Patterson drifts in and out of the movie with a seemingly important contribution to make, but every time she comes close to adding value Watts is unconvincingly hooked from the screen, leaving behind a bungled trail of poor character development. And as the end draws near, a jumbled murder conspiracy driven by greed and complicated by navigational incompetence and the late addition of a hitherto unknown gunman attaches like a clamp to Dream House, shaking the movie from its foundations. A final possible twist in the tale is left unripened, adding to the frantic feel of the film's ending. An uneven case of good design ruined somewhat by a poor finish, Dream House has good curb appeal but an unkempt backyard.